We released the sponsor flyer last week and have had a very good response so far. Thank you SPONSORS! By Friday we will announce the first group of sponsors that have asked to be listed on the site. There are a few special spots still available – so sign up today. Special Thanks to all those that are quietly supporting this project behind the scene. Getting everything together has been a lot of work. We are excited about all the events and parties that are being planned. We are very close to announcing several other dates including the KickOff Party and CD Release Parties. 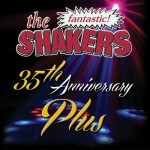 Its going to be a BIG Summer with the Fantastic Shakers 35th Anniversary Celebrations… Of course you know its always a party with the Shakers no matter what the occasion…. This entry was tagged fantastic shakers events, shakers 35th, sponsor update. Bookmark the permalink.